We are located in Sun Valley, Idaho. The mission of our ranch is to provide a harmonious place for both horse and human, offering a positive and stimulating environment. Our purpose is to allow horses to live as close to their natural ways as possible while providing excellent daily individual care. We support the horse's desire to live together as a herd and with that, we nurture physical and emotional well-being. What our horses need, our horses get. From fly management to any special requirements. Pasture turnout and grazing is available in the summer. We practice slow hay feeding methods to support the horse's natural digestion process and have virtually eliminated colic incidences. We offer targeted lessons, training and rehabilitation at our facility as well as on trails. 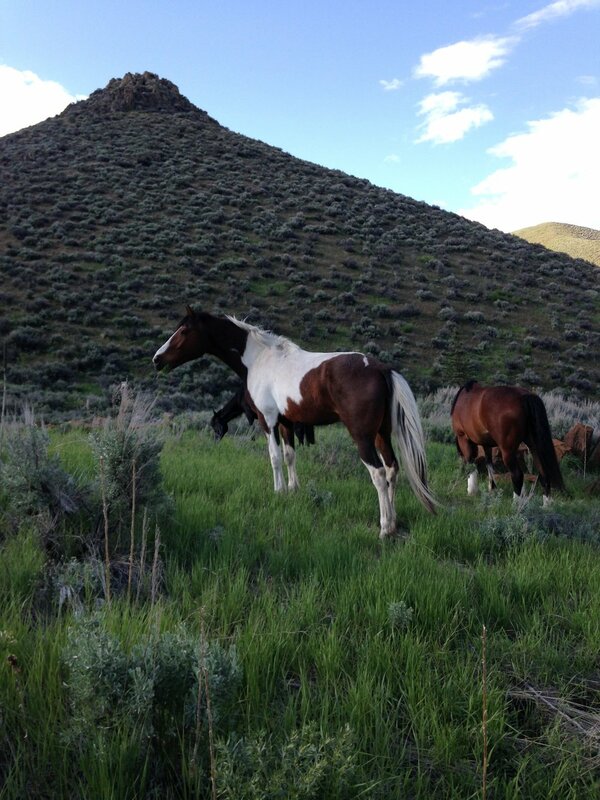 We are located in the East Fork of the Wood River Valley and provide access to many trails. During winter months our horses do extremely well with plenty of shelter, as well as increased individual care such as blanketing and extra nutrition. They truly seem to prefer snow over mud! We are located in the East Fork of the Wood River Valley and many of our beautiful trails are closely accessible from our ranch. Please inquire about boarding fee options and to schedule a visit.